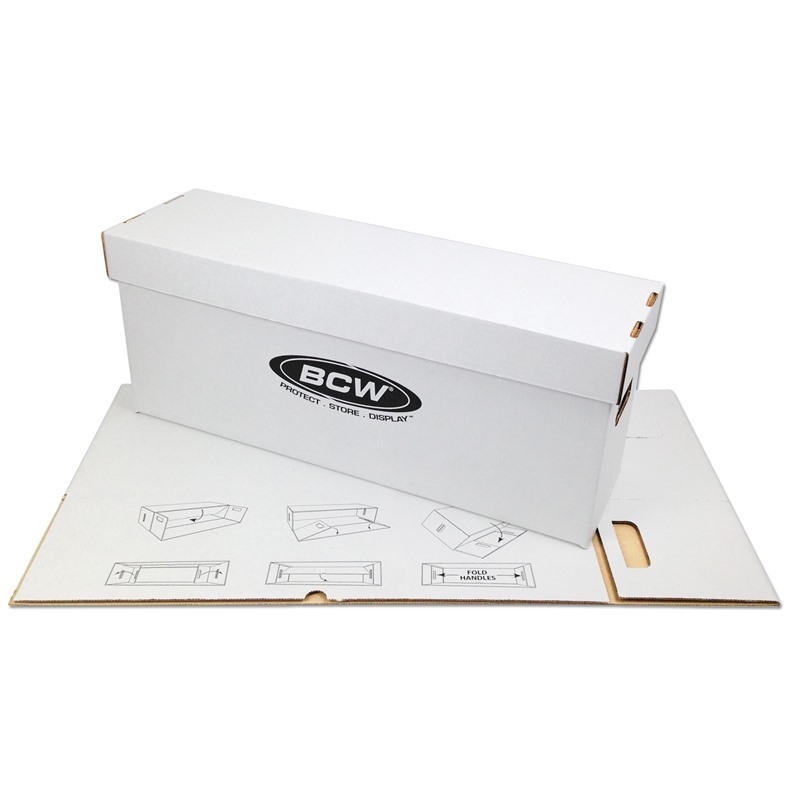 The BCW Storage Box is the highest quality, most competitively priced cardboard storage box on the market today. They are constructed of white corrugated paper and have a 200 lb. test strength. 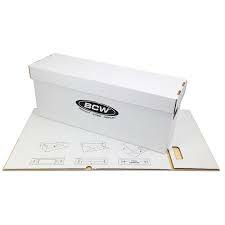 Use this box to store and protect all your valuable,collectible comics. Easy to follow instructions for the assembly of the Long Comic Box are printed on the bottom panel and are hidden from view once the box is completely constructed..